This medication is just what you need, and I promise that if you take in the right quantity, you will find that all of these horrid symptoms will just fade away like magic. 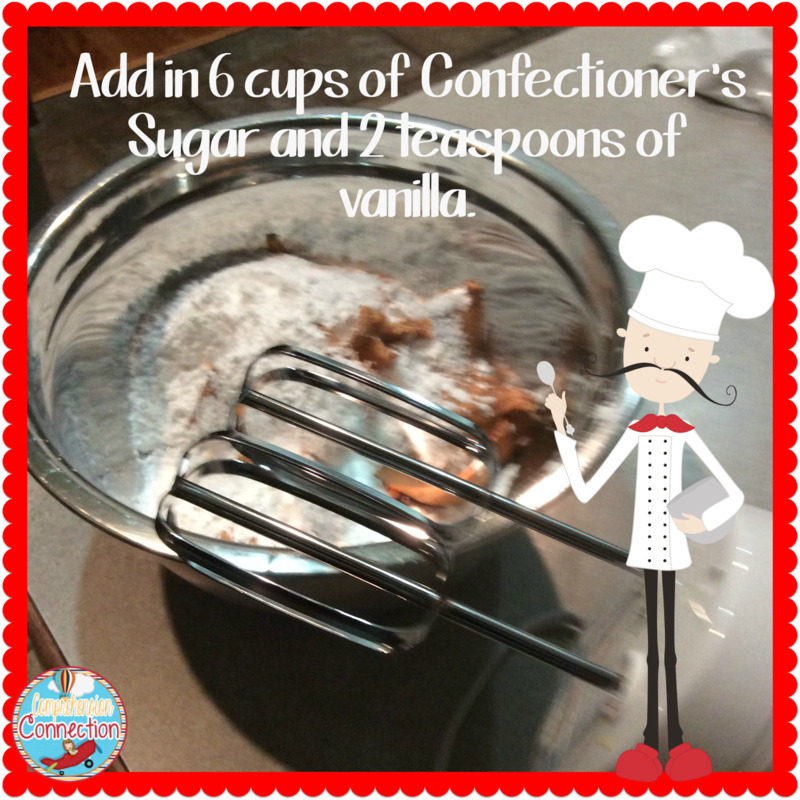 Along with these, you will need a little equipment including a mixing bowl, mixer, a double boiler, and a few spoons. 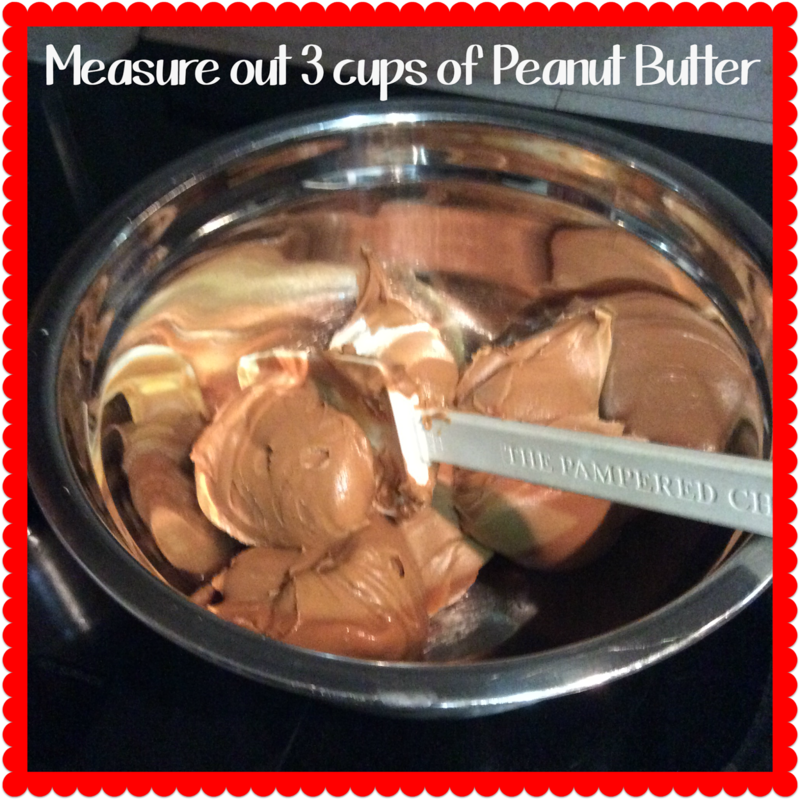 The first step in creating your medicine is to measure out three cups of peanut butter and two teaspoons of vanilla. 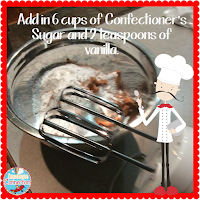 Then, add in six cups of confectioners sugar. Blend these to form a firm dough. Refrigerate for a bit (while you listen to soothing music and gaze at the holiday scenes filling your home). 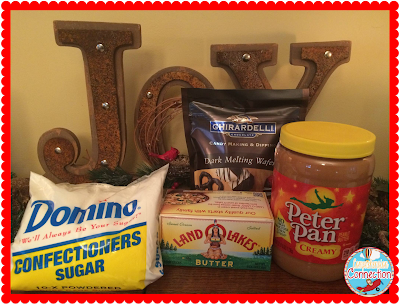 It is now time to form your lights tasty remedy. 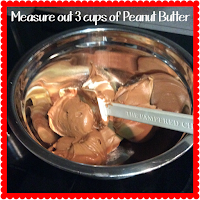 Your peanut butter dough should be firm now, but keep it chilled for a bit longer. 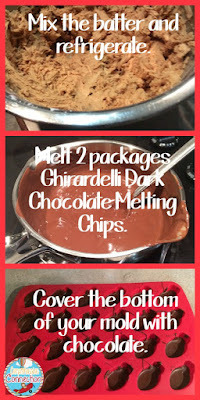 You will need the double boiler next, and you'll heat the chocolate until it is liquid being careful not to over cook it. 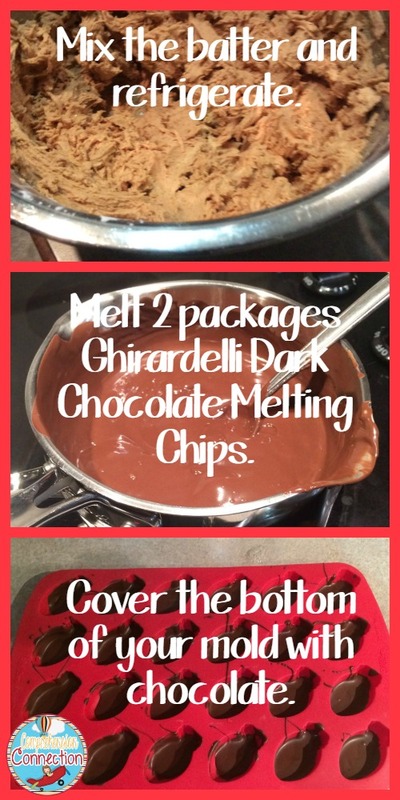 Once melted, spoon a small bit in the bottom and on the sides of your molds. Let this chill until it is solid again. 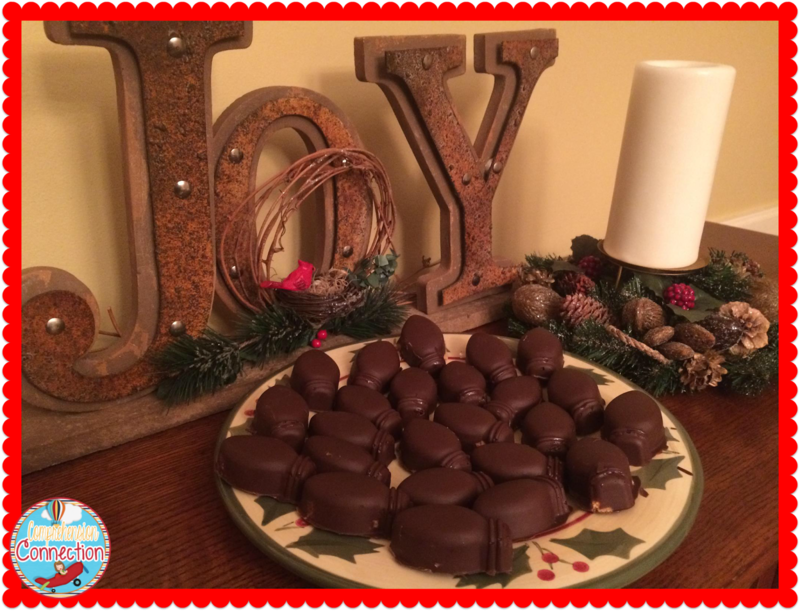 Add in a teaspoon of peanutbutter dough in the middle of each bulb shape, and top with enough chocolate to fill in the mold. Complete the remaining bulbs and chill until firm. Pop each out of the mold and into your mouth (caution...do not ingest more than five bulbs, or you may develop a new condition called Sugar Rush which can be even worse than Holiday Fog). Truly, the Holiday Fog will become a distant memory with this recipe gem. As you can see from the greatly enhance image to the right, this is a medication each of us needs this time of year. It even comes with a subliminal message from me to you. This concoction is easy to make, but if you'd like printable directions, you can visit [this link] from Pinterest where you'll find a printable card all ready to go. 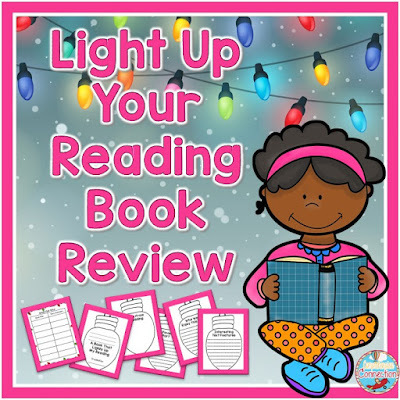 With that, I'll close wishing you much JOY in the days ahead, and along with that, I have a little holiday gift that I hope will LIGHT UP your students' reading before the holiday break. It's a silly post, but hoping the freebie is handy next week! Thanks for visiting. How clever! I love the light bulb mold and how it ties in with your freebie. Thank you, Carla. Not really a unique recipe, but I had fun. I decided to be a little humorous with the post too. Hope it made you smile. I almost felt like I was overdosing on this medicine just reading the ingredients Carla! Love the light bulbs!